It’s still a wet Sunday but thankfully the weather isn’t as bad as last week. Still, it’s a great time to stay in and read! Not all day for me though, for we have to go hear mass and watch an independent film late this afternoon. 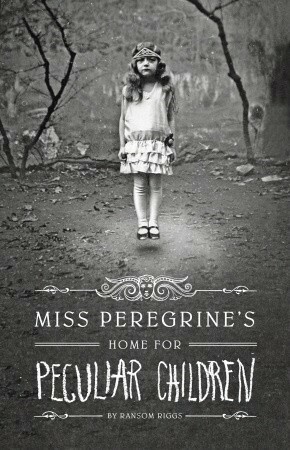 Anyway, for today, I’m reading Miss Peregrine’s Home for Peculiar Children by Ransom Riggs. I started reading it in an e-book format last year but didn’t go beyond chapter 3, mainly because I was not enjoying the pictures it came with from my small e-reader. Luckily, during our last book session, Gabi shared it to the group, and I grabbed the chance to borrow it as soon as she finished her sharing time. 🙂 I’m enjoying it so far. I’m very curious to know what happened to the “peculiar” children. Miss Peregrine’s Home for Peculiar Children by Ransom Riggs — As a kid, Jacob formed a special bond with his grandfather over his bizarre tales and photos of levitating girls and invisible boys. Now at 16, he is reeling from the old man’s unexpected death. Then Jacob is given a mysterious letter that propels him on a journey to the remote Welsh island where his grandfather grew up. There, he finds the children from the photographs–alive and well–despite the islanders’ assertion that all were killed decades ago. As Jacob begins to unravel more about his grandfather’s childhood, he suspects he is being trailed by a monster only he can see. 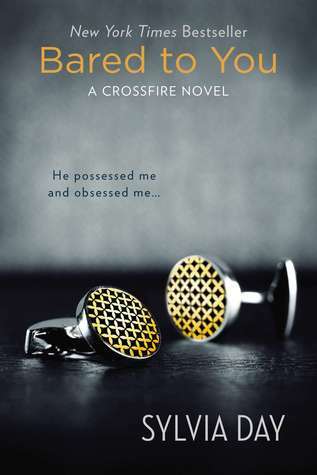 I’m also reading Bared to You when I have a chance. Someone sent an e-book of it with the note that it’s Fifty shades of Grey, only better. 🙂 I did not finish Fifty Shades… because it just wouldn’t sustain my interest. Anyway, I started this book to take my mind off a disturbing movie I watched last night called The Healing. I brought Miss Peregrine… as my post-movie read but I just couldn’t go into a scary book after that experience. So I whipped my e-reader and started reading Bared. It’s light and fluffy and yes, better that Fifty Shades.., at least in my humble opinion.